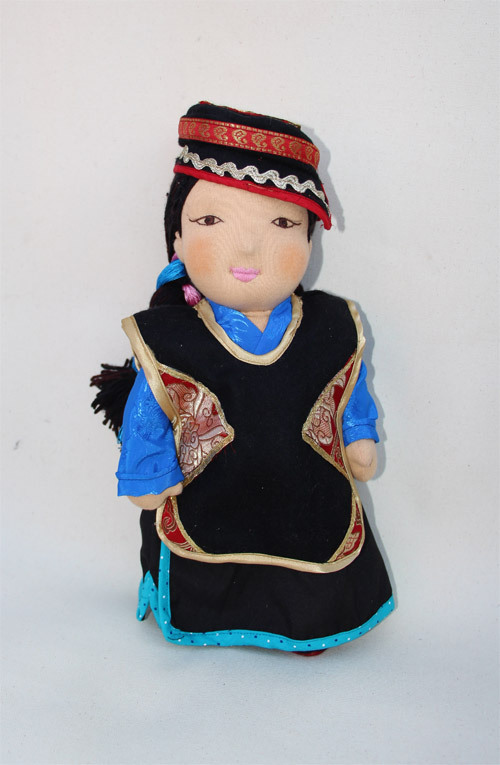 Choeying is an enchanting girl from the South-Eastern region of U-Tsang, bordering Kham. She fashions a pretty pillbox hat (known as a dieu) with intricate embroidery. Under her dieu, her beautiful hair is plaited with silk ribbons. On top of her long chupa she wears an embellished tunic with a gold silk border. Due to very cold and long winters she wears long stylish Tibetan boots called Lham.